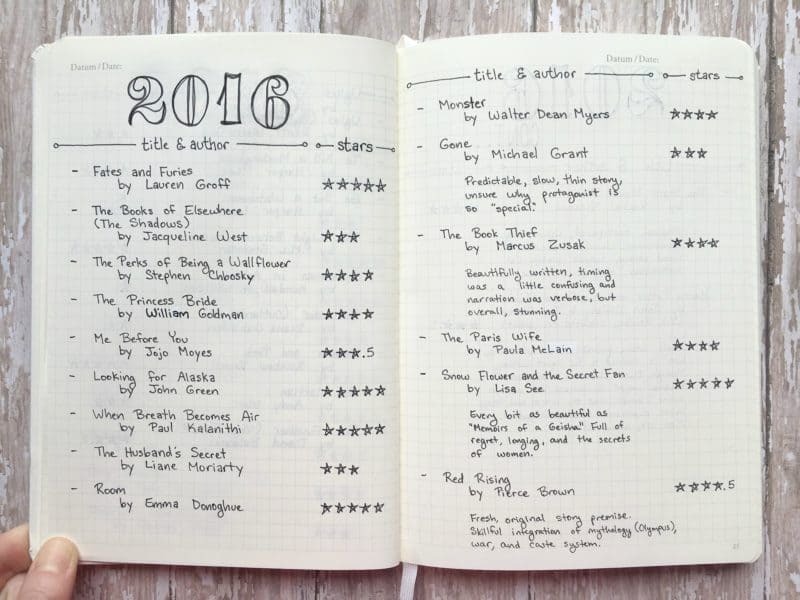 Keeping a reading journal is a habit all book-lovers should adopt. 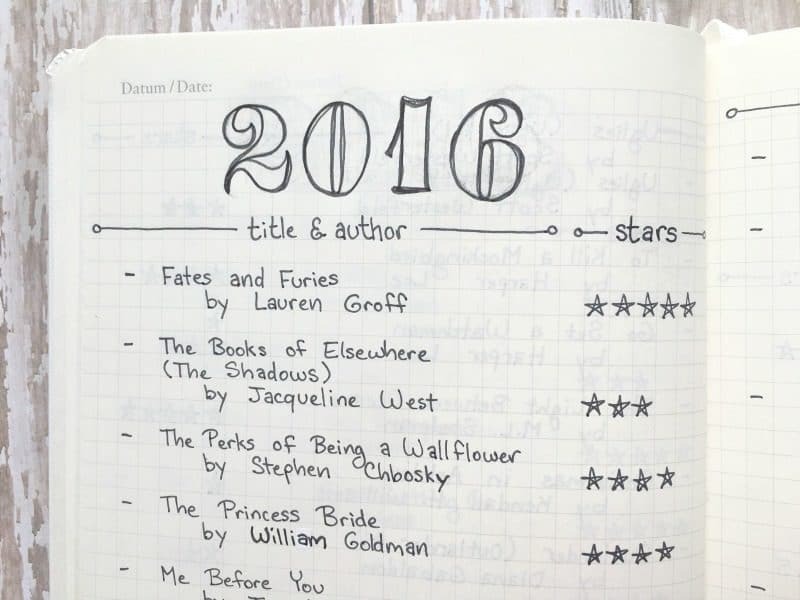 See how this bullet journal adaptation has enriched my reading experience and my love of books! I’ll start by saying I should have started this habit years ago! I wasn’t much of a reader as a child, but I grew into it as a teenager. Now, I consider myself an avid reader. In fact, I get uncomfortable when I’m not reading something. I catch myself desperately scanning the coffee bag while my morning Joe is brewing just because it’s the only text within reach. In short, books are my jam! I started keeping a reading journal about a year and a half ago. I wrote down as many past books as I could remember then added each new book I read. But after I started bullet journaling, I became dissatisfied with the structure of my reading journal. It was really just a list of books with no sense of time or order. I needed room to expand, add my own thoughts, and index book reviews, TBR lists, or any other reading related collection I might like to add. If you follow my blog, you know creative writing is one of my passions. Not only do I run a 6-word story challenge on Instagram, but I also use my bullet journal to improve my writing. It’s not enough to read books. A writer must study them, refer back to them, even dissect them. So, I painstakingly recopied my reading journal–using the bullet journal framework–and now I can share it with you! Let’s back up for a moment shall we? Why do you need a separate reading journal, anyway? My reason: I’ve forgotten so many books. I’m deeply saddened by that last sentence. When I read a book, I feel close to it. I know you get it, my fellow book lovers. The story becomes a part of you as you travel through its pages. There’s a unique cooperation that happens between reader and book. You can walk away from a movie, or TV show, and it keeps playing. But a book needs the reader to enter into a type of covenant. If you close the book, the story stops moving. It stops existing in the mind of the reader. So, when I say I’ve forgotten books, it’s like claiming an old friend never existed. I keep a reading journal to keep my old friends alive. I’ll show you how to make a simple reading journal to inspire, organize, and catalogue your reading experiences. It’s such a simple project to start, but it will give you many years of happy journaling. Leuchtturm1917 A5 Hardcover (white, grid lined): Ordinarily, I prefer the dot grid pages for journaling, but a company on Amazon gave me this one for free when they accidentally messed up my order. No biggie; it was perfect for this project. My trusty Sharpie pen: They make clean, dark lines on the page and they’re much cheaper than art pens. Westcott 6 inch craft ruler: No matter how many rulers I try, I keep coming back to this little guy. It fits perfectly in the back pocket of the notebook, and I like the grid to help with alignment. You caught me! I’m a bullet journaling addict. 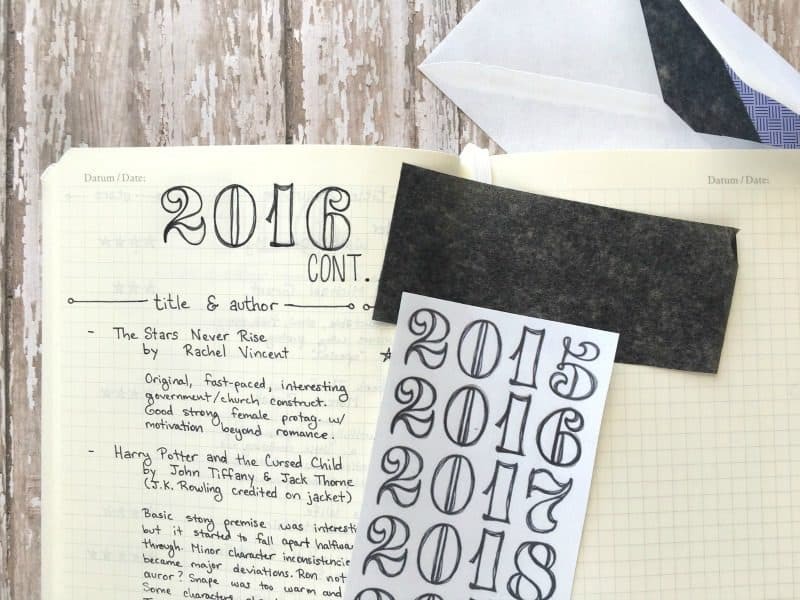 Actually, bullet journal fever is spreading fast these days, and it’s not surprising. The system is flexible, efficient, and highly customizable. Whether you want an artistic journal or a minimalist approach to note taking, bullet journaling has you covered. Since I already keep a daily bullet journal, adapting the style for my reading journal was a snap. Confused? 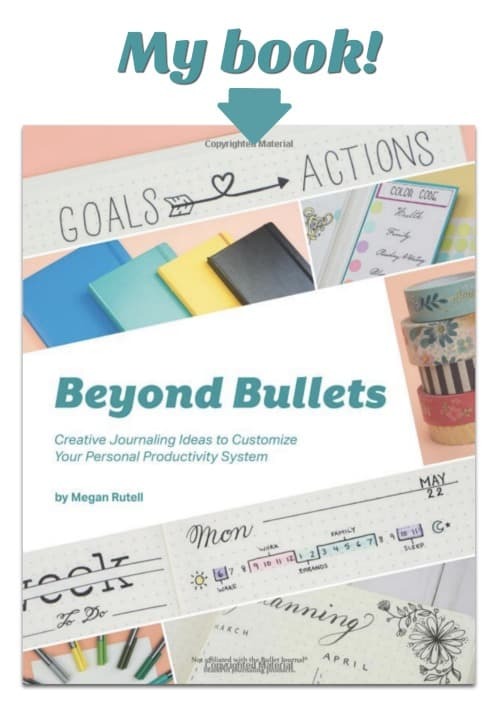 Read more about bullet journal basics >>HERE<<. The index is one of my favorite parts of the bullet journal. It pulls the whole system into order. In the photo above, you’ll see that I’ve indented the lines for each year of books. The top line, “Goodreads’ 100 Books to Read in a Lifetime” is flush left, but each year is indented. You don’t have to align your index like this if you don’t want to, but it helps me separate my annual catalogue from “To Be Read” lists, books reviews, reading challenges, books I’ve abandoned, all-time favorite lists, and so forth. LT1917 notebooks have a pre-printed index (one of the many reasons I love and recommend them!). If your notebook doesn’t have a pre-printed index, leave a few pages plank before starting page 1. 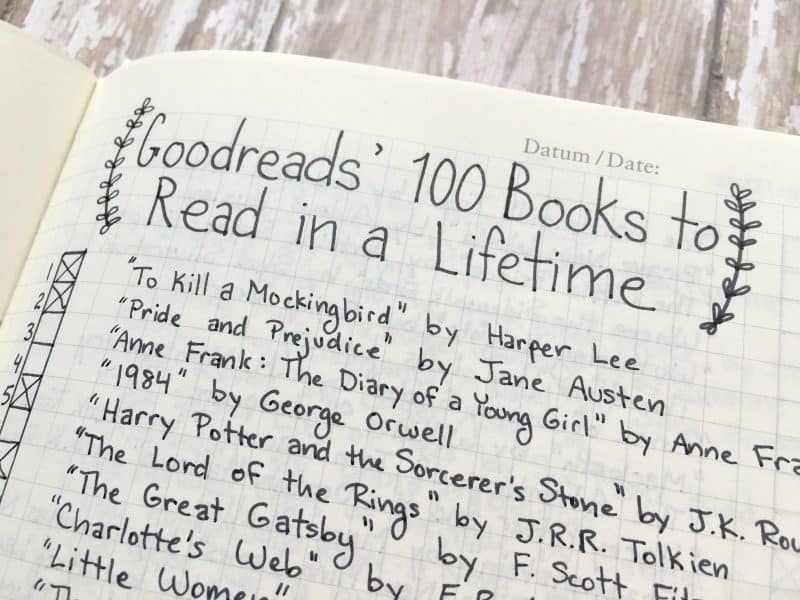 After combing through about 21,310 ultimate reading lists online (give or take 21,300), I finally picked Goodreads’ “100 Books to Read in a Lifetime” for page 1 of my reading journal. The list covers everything from contemporary YA to the classics of 10th-grade English. It’s been so long since I read some of these titles that I left them unchecked so I can re-read them. I’m sure I’ll add about 10-20 more versions of “Books to Read in a Lifetime” before this is all through. What can I say? I like lists! My plan is to add my own TBR list (To Be Read) each year then catalogue the books I’ve read with a short blurb (my opinion, a notable quote from the book, etc.). TBR lists are handy for keeping a list of quality books ready for the next time you need something to read. My advice is to not let your TBR list give you tunnel vision. If a book speaks to you that isn’t on the list, read it! The list will always be there. I only began to formally journal my reading in 2015, so anything before that is recorded based on memory. For each book, I list the title, author and stars out of 5, and yes, there are a few half stars floating around the pages. Hey, sometimes a girl just needs a half! You do NOT need to use any fancy headers. Let’s get rid of that pressure right now, m’kay? I chose to add a little fanciness because I like the way it looks in my journal. I enjoy journaling more when I add small touches like nice lettering or a splash of color, but let’s not pretend fancy is more effective. The font I used is based on an old stamp set by Sassafrass Lass. I love the font, but the stamps ended up looking too small for my purposes. I used my printer to enlarge the letters and traced each one into the journal with graphite paper. If need more help with this technique, check out my full tutorial. Unfortunately, these stamps were discontinued, so you can skip the extra steps I had to take in enlarging them. Instead, grab a font you love at Creative Market. I should have gone that route the first time since they have thousands of fonts to choose from. It doesn’t need to cost you anything (unless you’re like me and can’t resist all the pretties); they have free fonts & graphics you can download each week. 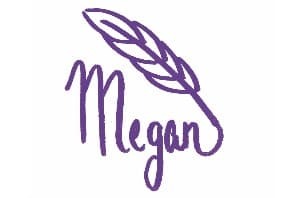 Simply type your headers on your computer and trace them. Argh! Sooooo much easier! It’s wise to print a few years in advance. It will save you from having to create new ones each year. I put a few sheets of graphite paper in an envelope and saved, oh, a few decades of header templates. Overkill? Nah. But I’m sure the notebook will run out before the headers do. I stash it all in the back pocket of my Leuchtturm1917 and now I always have what I need to start a new year. Ready to read and record! Do you keep a reading journal in a different format? Comment below to tell me your strategy for more engaged reading and a more inspired life! I’ve used Goodreads to track my books read, books to read, etc. for several years now. I’ve been tempted to start tracking it in a journal like this (because I love lists, and like you – I feel sad when I realize I’ve forgotten a book I’ve already read). I’m just worried it’s something I’d start…and then never keep with it (like the million and one challenges I’ve started and never finished…). 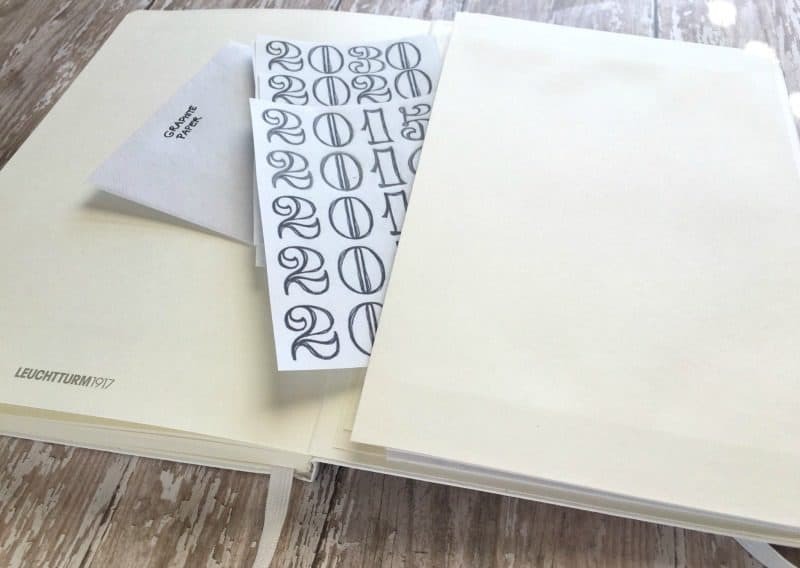 Oh my gosh, I LOVE this idea… I feel the need to do this… brb buying a new notebook! Lol! I’d love to see your reading journal when you get it started. Feel free to post it on my FB page! I love this idea. 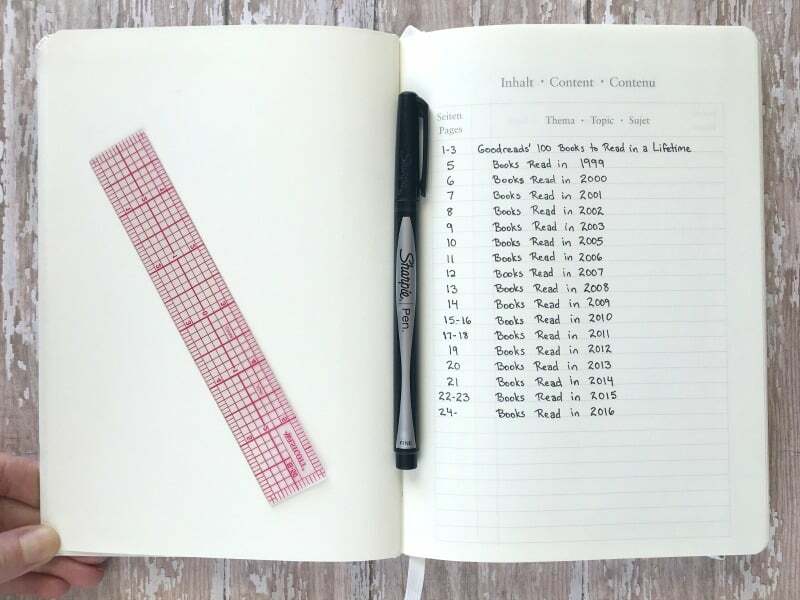 My Goodreads list is huge and I’ve got a grid comp notebook that I’ve been trying to find a use for. This may be it! I cross reference this journal with my Goodreads a lot. It’s a slightly different experience on paper. Never thought of a journal for my books. Thanks for the inspiration. I will be starting on really soon. What are your thoughts on adding a section for notes, summary or reflection for each book.? I started very simply, but lately I’ve been adding a little note about each book (a unique narrator, story premise, something the author does especially well, etc.). I think a section for notes and reflections is a great way of recording how you connected with a particular book. I love the idea, and I’m glad you brought it up! Ooh, neat! I used to record everything I read in school–because I was reading so much that I wouldn’t remember what it all was if I didn’t! I was thinking about that notebook and how much I liked looking back over it and I started one for current reading, starting with this year’s books. I set it up way simple: There’s a few pages at the front for the list and the stars, then each book gets a page where I stick a picture of it’s cover and just do, like, bullet points of whatever struck me about the book: the mood, what I liked and didn’t like, fav parts / characters / writing techniques. When it fills up, I’ll just start another, but maybe it’ll be more like yours! Yeah, do it! It’s fun, useful, AND gives another excuse to use the printer! This is a great idea. I usually track my books and reviews on Goodreads, but I love that this is physical and can be pretty, too! Off to find a journal! Hi, Prekrasan! I also use Goodreads, but I agree there’s something special about paper journaling. I get a real sense of connection with what I read (and my list is not at the mercy of the Internet gods)! I like this! I just moved to a new state and joined a book club! Someone in the group had a composition notebook of her thoughts as she read which I thought was awesome! I may blend the two ideas now, it’s been since high school that I’ve truly analyzed the books I’ve read. Hi! First of all super awesome blog post! I have a question. Do you write something in your journal as you go through the book? Or do you just write like a short comment when you have read the whole thing? Just to be clear, I don’t think the issue is that I read on the kindle, but more like I need a system for organising my thoughts during my reading. 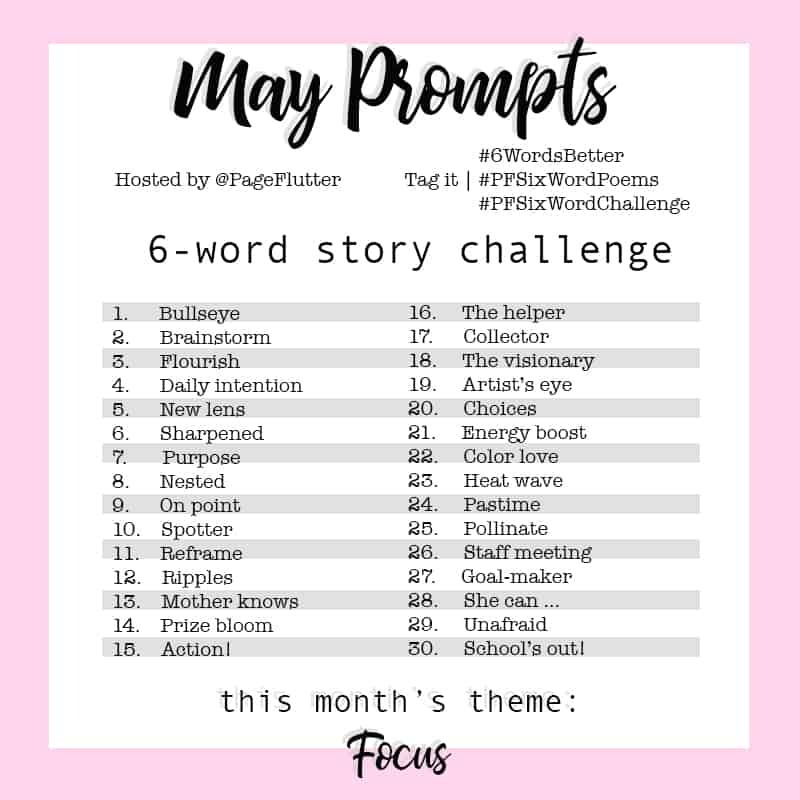 Although I usually read non-fiction, I do read fiction as well and I totally want to be able to archive somewhere interesting or funny quotes from characters, etc. Anyway, thank you for time and your awesome work! Thanks for stopping by my blog! You’re expressing so much of what I felt before I started my book journal. At first, I kept things very simple to avoid turning reading into a note-taking chore, so I limited myself to jotting down a rating and general thoughts about the book as a whole. Now that I’ve gotten into a nice rhythm with it, I’ve started adding a few quotes (w/page number or location). I read both Kindle and paper books, flagging/highlighting memorable quotes as I go. But I don’t write anything in the journal until I’m finished with the book. I tend to be a little quote crazy, so I have to make myself wait and sort through the or half the book ends up in my journal! This is such an amazing idea!! I have always been an avid reader and try to read a couple books a month (at least I try)! I love the idea of bullet journaling but I haven’t committed to it yet, I can’t give up my planner mid-year. Haha! This is just what I have been looking for to organize my book lists, thoughts, quotes, and anything else I think of! Thank you so much! I should probably do this. My list is on Goodreads because well, sorting and categorizing, but I like the idea of having a printed log that I can come back to later, especially if something were to ever happen to GR. Maybe someday soon, I will take on the task of migrating everything to a journal. I agree, Goodreads has so many nice features; I use it, too. Somehow paper is an entirely different experience. Thanks for stopping by, Raybenair. Best of luck with your reading journal! Yes, I completely agree! I read cozy mystery series sometimes, and it can be difficult to keep them all straight. Thanks for the comment, Liz. Happy journaling!